Canon EOS C300 Mark II. Canon’s new Cine-Servo 17-120 T2.95-39 compact lenses are parfocal lenses. Once focus is achieved, focus will be held at all focal lengths. However, when you need auto-focus, the parfocal design is a perfect match to the Canon’s Dual Pixel focus system. When I reviewed Canon’s C300 Mark II, several cases arrived containing the goodies. One case for the camera and one case for their Cine-Servo 17-120 T2.95-3.9 zoom lens. (Figure 1). 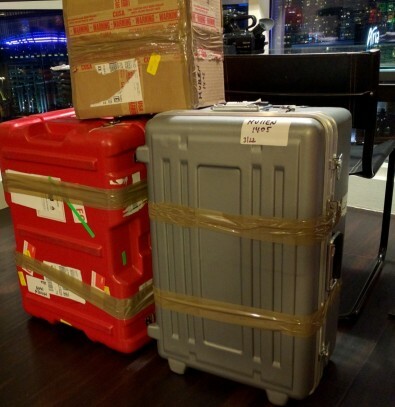 Figure 1: Cases containing a Canon C300 and a Canon Cine-Servo 17-120 zoom lens. When Canon offered the opportunity to review their new 18-80mm and 70-200mm Compact Zoom lenses, I tried to head-off the arrival of huge cases by suggesting the new C200 would be perfect. Alas, the C200 was not yet available. Figure 2 shows my cat Sita guarding the C300 Mark II Canon sent along with the lenses. To keep weight low, I decided to use the EVF rather than the Canon 4-inch LCD monitor. Figure 2: Sita guards the C300 which has its EVF in the upward position. Figure 3 presents features of the 18-80mm lens. (Lens shown in Figure 4). Figure 3: Canon 18-80mm Compact Zoom features. Figure 4: Canon 18-80mm Compact Zoom. Figure 5 presents features of the 70-200mm lens. (Lens shown in Figure 6). Figure 5: Canon 70-200mm Compact Zoom features. Figure 6: Canon 70-200mm Compact Zoom. The 18-80mm and the 70-200mm lenses have been designed to work with Super35 sensors. Both have a 9-blade iris and provide in-lens optical stabilization. DSLRs and camcorders use “inner-focus” servo AF lenses. When focus has been established for a subject at one distance, with these lenses you may not be able to zoom-in or -out and have perfect focus maintained. An inner focus lens is designed so that its contrast-based AF system constantly works to achieve focus. In theory this should enable the AF system to keep focus when zooming. In practice, especially in low-contrast situations, when one changes the focal length the AF system attempts, but often fails to hold focus. The result is loss of focus during a zoom. Canon’s new lenses are Parfocal lenses. Once focus is achieved, focus will be held at all focal lengths. If you are manually focusing, you can zoom-in, focus, and then zoom back to frame the scene—just like in the old days. However, when you want to employ AF, the parfocal design is a perfect match to the Canon’s Dual Pixel focus system. A majority of the C300’s sensor photocites contain two photodiodes that support phase-difference AF. When necessary, Face Detection can be engaged to increase AF accuracy with moving subjects. The Dual Pixel system also works when manual focus is used. It enables a shooter to “see” (EVF, monitor, external monitor) whether the focus point is in front of or behind the subject. I prefer to use the one-shoot (press) button when using Auto Focus. An alternative method is offered in this video clip from Canon. One difference between then and now, the Canon lenses have a focus ring that has no close or far stops. Like most lenses that support AF, the ring is electronically coupled to the focus servo. The new system, therefore, doesn’t readily support follow-focus. You can zoom these lenses in two ways. You can, of course, manually turn the zoom ring. When you mount a ZSG-C10 zoom controller to a lens, you now have a vario-speed rocker control. (A mechanical control enables you to engage or disengage the power zoom.) The ZSG-C10 also provides a start/stop recording button plus a one-touch AF button. One certainly can’t fault a lens design that provides a constant aperture throughout its zoom range. Nevertheless, a T4.4 (F4) aperture does not allow for a very shallow DOF. Indoors, one wishes the 18-80mm lens offered a T2.8 aperture, even if that were only possible at 18mm. A T4.4 aperture, however, is perfectly reasonable for the 70-200m lens. Figure 7 shows the ZSG-C10 zoom grip adapter can create a mounting issue. When a C300 is lying flat, it rests on the power cable connector. It’s odd that Canon engineers didn’t catch this issue and at least terminate the cable with a right-angle plug. Figure 7: The ZSG-C10 focus control handle requires a cable from the grip to the camera, which results in a difficult mounting configuration at the bottom of the assembly. At $5000 to $5500, these Canon Compact Zoom lenses are not inexpensive. But, purchasing a top-notch lens can be considered an investment compared to buying a camera.